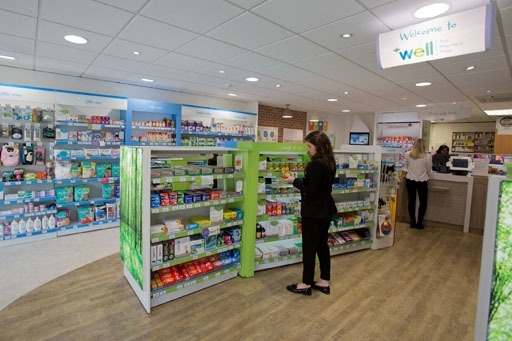 Well Pharmacy is the largest independent pharmacy business in the United Kingdom. In 2018, Well adopted Qualsys's audit management software to slice profit leakage and drive best in class compliance across their 780 nationwide stores. Qualsys: How did your EQMS auditing project start? Helen: With the recent funding changes in the NHS, it all started with us having to become more commercially aware. Our operating model runs like this: we dispense NHS prescriptions to customers, then there are a number of processes to follow to get our reimbursement back from the NHS. 25% of our profit leakage came from stores not doing this properly. So we recognised that non-conformance was costing us money and had to be addressed with careful auditing. Then we realised we could also assess our stores on health and safety, facilities, security and so on. Our stores are audited by the GPhC and there are certain benchmarks they have to hit. If a store has had poor GPhC feedback, what are the triggers? Can we address them early and give our stores what they need to prevent a poor inspection before it happens? As we started thinking more about it, it grew arms and legs. 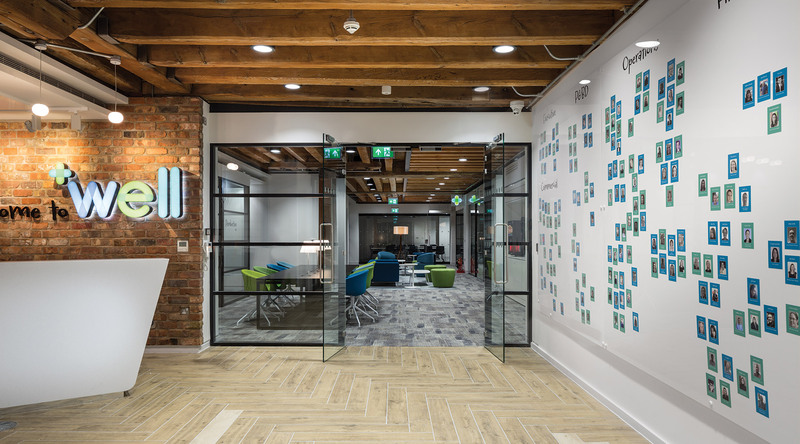 Ultimately we are a customer-focused organisation so we need to provide the best possible customer experience. We recognised that non-conformance was costing us money and had to be addressed with careful auditing. Qualsys: How do you think good auditing improves customer care? Helen: Well, if a staff member isn't following an SOP properly, it can take them twice as long to complete an action. That takes time away from the customer. Auditing and improving is about getting our stores to think and work differently. It's a cultural change. 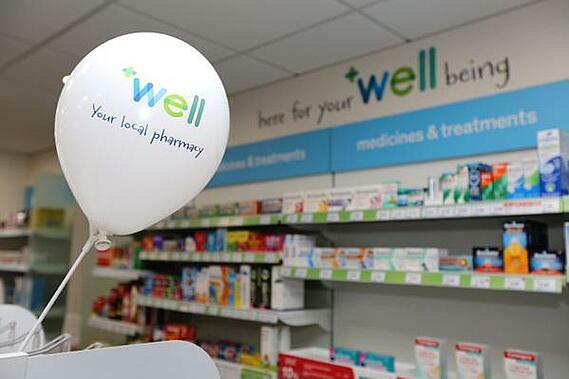 We moved from the Cooperative Group to Bestway in 2014, and in that time there have been big changes in the NHS. Stores weren't always aware of those changes and things got lost in transit, so stores were working in different ways. The GRC Dashboard is a tool that will help us overcome that. It provides full transparency of all the metrics they have to follow, which they've never had before. So culturally we'll see a shift and the role of compliance will improve. Proper auditing means processes are being followed. That saves time and money, which can then be reinvested into stores for training. That allows us to be best in class. Qualsys: How were you auditing before EQMS? Helen: It was hand-cranked. Everything was on an Excel spreadsheet. There was room for errors. Our analyst would spend a week a month updating the dashboard. It just wasn't efficient. After each internal audit, a regional manager would draft an 'action plan' for each store to improve. But what we found was that an action plan would have four re-iterations of just one process. That meant inconsistency, delays, action plans becoming low-priority. Stores are expected to close out actions within 13 weeks but it could take 2-3 weeks for a manager to visit a store to get things started. So it was about streamlining and becoming a bit smarter. Qualsys: What was the process like finding a vendor? Helen: Fairly easy, actually. I knew we wanted a quality and compliance management system and when we started scoping it was purely audit-centric. We found a good few suppliers, but when we started the procurement process it was about which system had the flexibility to grow with us as a business and adapt to our needs. That's why we chose Qualsys. The project was about streamlining and becoming smarter. Qualsys: How are you using Audit Manager now? Helen: We have 900 users set up for the system now. All 780 stores have their own unique log-on for EQMS. From there they can access their audit reports, their audit actions and their KPI dashboards - which are specific to each store. They can't see other stores's dashboards, just their own tailor-made information. When we started the procurement process, it was about which system had the flexibility to grow with us as a business and adapt to our needs. That's why we chose Qualsys. Regional managers can quickly assess all their stores, divisional managers can track regional store health, and then there's top-level operational performance for senior management. Using the system has already helped us work more as a team and started off that cultural change. Our stores love it. It provides them with information they've never had before. Each audit is about 2.5 hours, and each store gets a bespoke action plan delivered automatically straight away. All 780 stores have their own unique log-on for EQMS. From there they can access their audit reports, their audit actions and their KPI dashboards - which are all specific to each store. Qualsys: What are your future plans for EQMS? Helen: We want to develop our use of Audit Manager to include health and safety audits in the future. 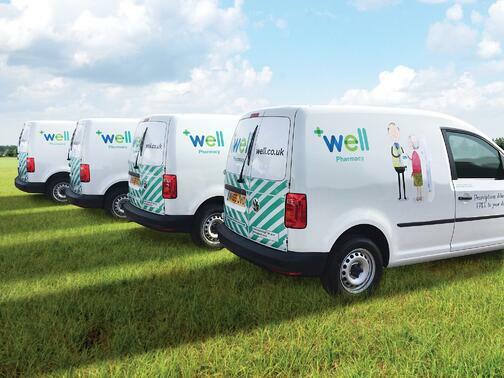 Our health and safety was previously supported by a third party, but we can bring that in-house now. And we're currently implementing Issue Manager. One of our responsibilities as a pharmacy is supporting criminal investigations. Currently we record NHS medication theft in spreadsheets, and there's no audit trail. It's easy for police to just write it off as a petty crime and do nothing about it. But with an electronic system, audit trails and attached documentation, it's cleaner and more organised and the module will help us address that much more efficiently. We never even thought of using EQMS for that. But when we were talking to Alex [Swan, Senior Business Development Manager], he started showing us the module and we realised we could use it for that. Qualsys: Do you have any auditing tips for other quality professionals? Helen: Don't make it just a box-ticking exercise. I think the coaching side after the audit is key. Giving auditees the tools and understanding to improve themselves is a massive opportunity that benefits your colleagues in the long run. I also think working closely with other areas of the business is crucial for an auditor. We coordinate with our operations team to identify high-risk areas and give them more attention. They've put together a '5 to drive' initiative highlighting 5 compliance areas they want us to focus on. We can then build EQMS reports for them around these areas, giving them live intelligence of what they want to see. We've set up the system to allow our area managers to take a step back and review broader areas and trends, rather than just dipping into specific problem stores. So always link your auditing plans to the bigger picture. Qualsys: What are your three favourite features of Audit Manager? Helen: The automated action feature was a definite "ahh! This is amazing!" It was great to know it could be done. It saves so much time and gives so much back to allow our stores to focus on the customer. Every store having access is another. Being able to electronically close out actions is a huge win. The third is the reporting. We lived in Excel spreadsheets before. Being able to completely move away from them and centralise everything in the system is a massive benefit and makes things so much easier. My expectations were met and exceeded with Audit Manager but the system just keeps giving. We were blown away by Issue Manager and we're looking forward to rolling that out soon. Want more information about Audit Manager? Try our free datasheets.